Length 3 to 4 mm. The rather forward set eyes and green mottled forewings are distinctive. 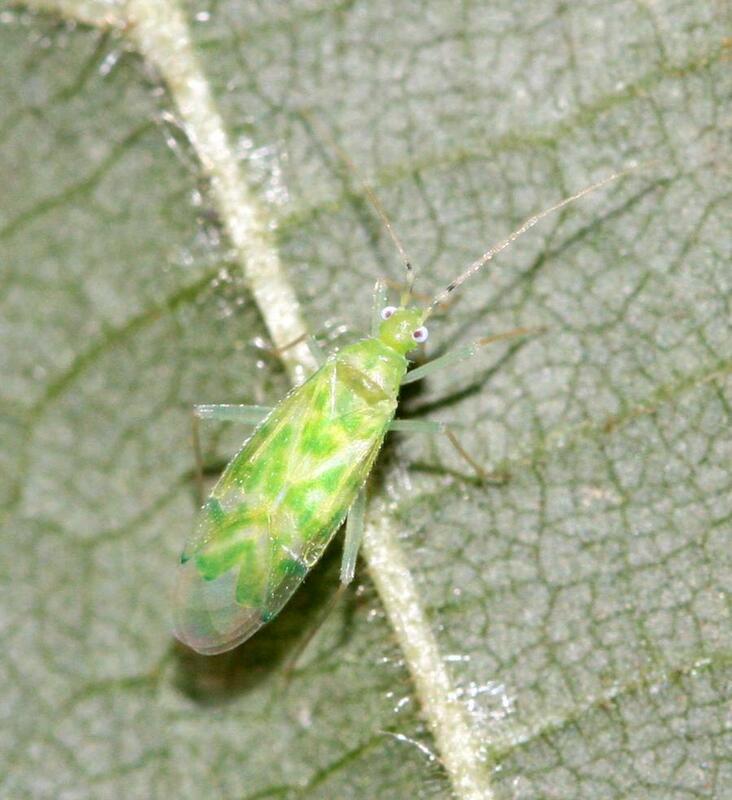 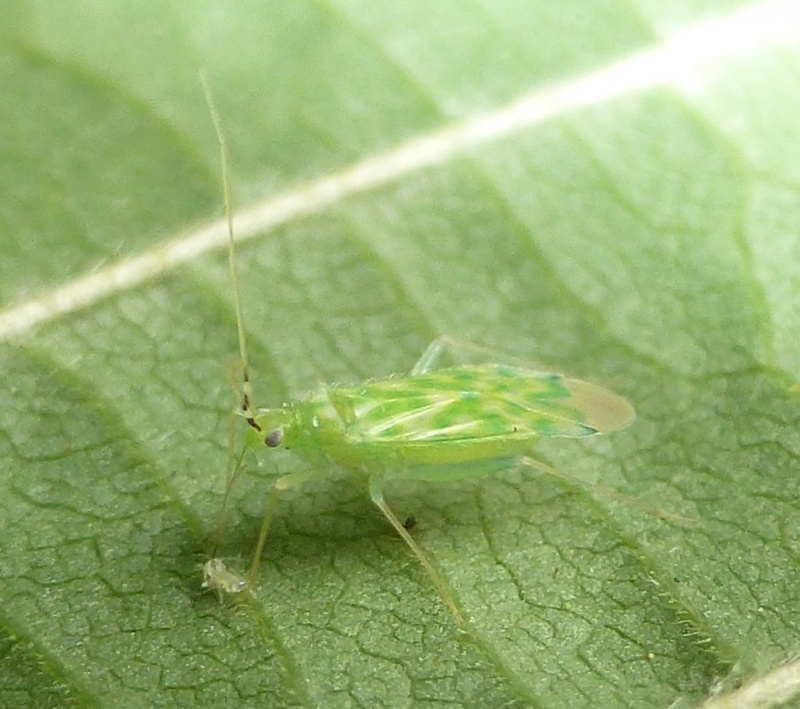 This small bug may be found on a range of deciduous trees, in particular Hazel. 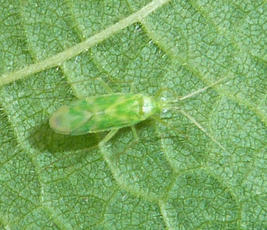 Adult: May to October in two broods. 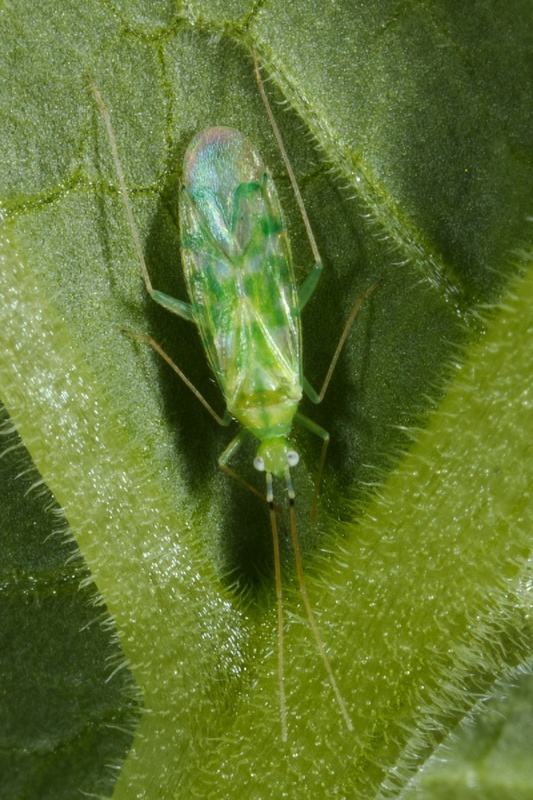 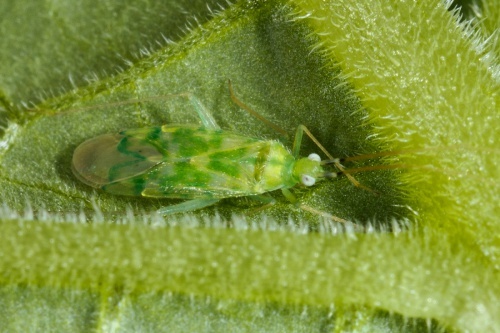 It is mainly predatory and feeds on other insects such as mites and aphids.